It’s not uncommon for UC San Diego police sergeant Manuel “Nel” Garcia to make an arrest when he serves at a Mother’s Against Drunk Driving (MADD) Victim Impact Panel. The monthly meetings, which are mandatory for DUI offenders, are often difficult—victims of impaired driving collisions share their stories to express the tragedies incurred from driving under the influence. However, Garcia believes that the challenges are worth the end result. By supporting MADD’s mission to educate citizens about the dangers of driving under the influence, he hopes to help prevent such tragedies in the future. Determined to support and enact the positive changes that Victim Impact Panels promote, Garcia and his wife, Leah, have volunteered at meetings regularly for over three years, signing-in, seating, and monitoring between 150 and 300 people each month. Additionally, Garcia has worked to increase awareness of driving under the influence by garnering support for MADD within communities at UC San Diego, such as Greek Life on campus. Thanks to these and other efforts, Garcia and Leah were recently commended by MADD’s San Diego County affiliate for their service. In addition to receiving a commendation, Garcia has represented the UC San Diego Police Department as the MADD DUI Officer of the Year four times. Garcia first became involved with MADD in 2012 when he was asked by a fellow department member to serve at a MADD Victim Impact Panel at the San Diego Hall of Justice. Since then, he has enlisted help from Leah and members of UC San Diego’s Community Service Officer (CSO) program, which he oversees, to serve at panels and other MADD events, such as the annual Candlelight Vigil, held to commemorate the lives of victims and their supporters. Because MADD is a self-supported organization, Garcia’s recruitment of volunteers has been instrumental to the organization’s success. In 2015, MADD San Diego County reached out to Garcia for support of its annual fundraising walk. “They were 50 volunteers short,” he recalled. Drawing upon a former partnership with UC San Diego’s Tau Kappa Epsilon fraternity, Garcia was able to provide MADD with more than enough volunteers, bridging a connection that he hopes to continue in the future. Garcia says that in recent years, he has noticed a general decline in advocacy for MADD despite the continued prevalence of driving under the influence. Indeed, Garcia, who was once one of many officers—including those from the Sheriff’s Department, Highway Patrol, San Diego Police Department and other county agencies—to attend Victim Impact Panels, is now typically the only sworn officer in attendance. Garcia believes this decline in support may be linked to a decline in the issue of DUIs. “I think in general, DUIs are on the decline—not because of Uber of Lyft, but because officers are less vigilant in pursuing them than they have been in years past,” Garcia explained. Nevertheless, Garcia has remained a strong supporter of DUI issues: In 2014 he began requesting that offenders issued citations for underage drinking also be required to attend MADD panels as part of probation agreements. Thanks to these efforts, the San Diego traffic court now requires offenders of underage drinking to attend the panels as a component of their sanctions. 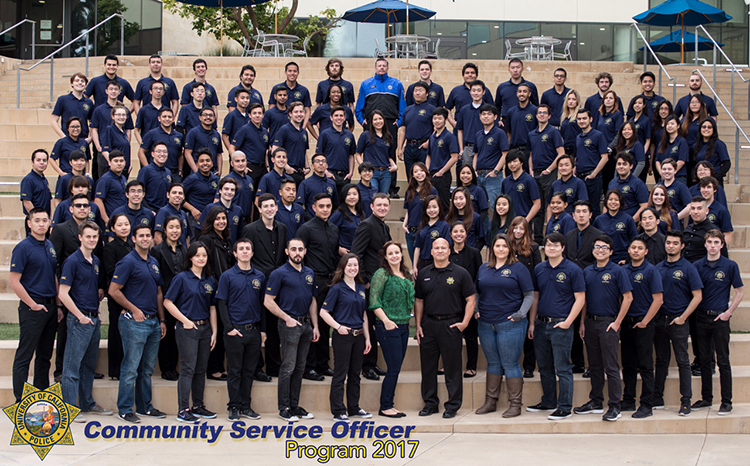 Evidently, though finding enough support for MADD has proved challenging at times, Garcia hopes that the challenge will lessen as UC San Diego continues to maintain engagement with the organization. “I have no plans to stop working with MADD,” he said. Garcia and his wife were honored for their service at a MADD appreciation ceremony, which included an award presentation and dinner. To learn more about the San Diego County’s MADD affiliate, MADD Walk, or Candlelight Vigil, click here.